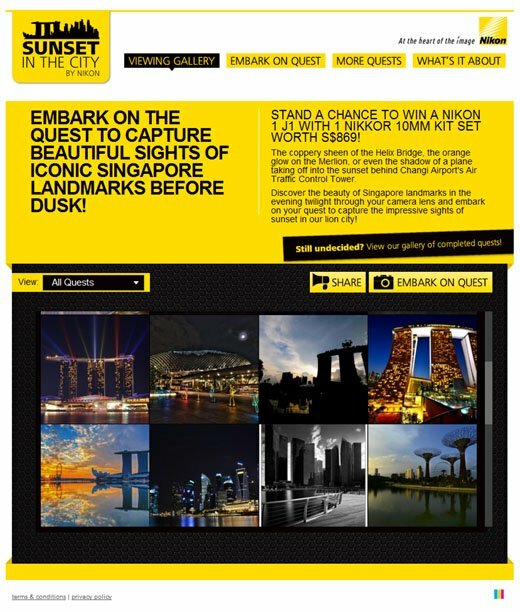 Singapore – Renew your appreciation for the iconic landmarks of Singapore with Sunset in the City, Nikon Singapore’s latest social media engagement initiative to engage photography enthusiasts who enjoy capturing the beauty of their world through their camera lenses. The social media initiative is conceptualised and deployed by digital creative agency noisycrayons, and rallies avid photography lovers to embark on creating original shots that capture the quintessential beauty of an iconic Singaporean landmark, with a little help from their friends. 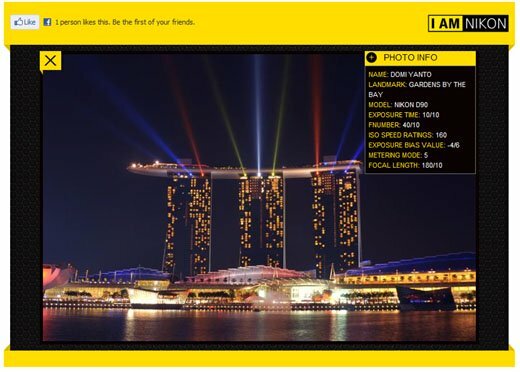 Via a contest application on Nikon Singapore’s Facebook Page, each fan generates a quest that consists of 3 photography tasks that are to be completed as a team. The campaign is designed to add a social element to photography by encouraging participants to help each other out in their quests and compare notes about what makes a landmark in the Singaporean cityscape breathtakingly unique. “What’s photography without our party of friends and kakis? Photography, in our minds, is about friends coming together to create beautiful pictures that will form an important part of our collective memories.”, he said. The initiative is expected to reach more than 2 million avid shutterbugs in Singapore. It is also designed to raise awareness of Nikon’s professional-grade cameras and photography kits as well as increase interest in how Nikon’s products can help capture the beauty of the world as seen through the eyes of a lensman. Singapore-based SPH affiliate, noisycrayons, is also managing Nikon Singapore’s ongoing communication and engagement efforts on social media.